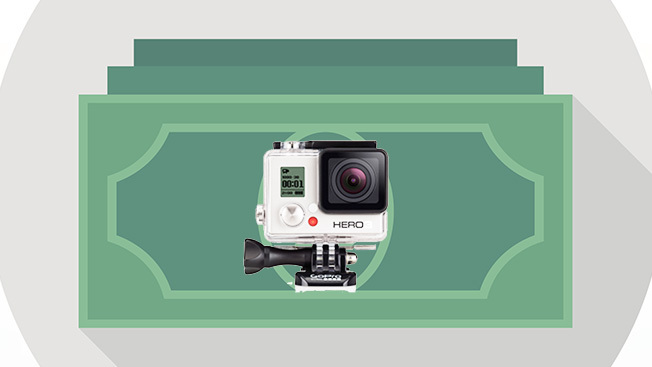 GoPro is announcing a weekly program today that awards cash to content creators, including $500 for best photo, $1,000 for top uncut video and $5,000 for best edited clip. All told, GoPro has set aside $5 million for the initiative, which currently doesn't have an end date. "This is not a contest or gimmick—it's an ongoing campaign," said Zander Lurie, svp of entertainment at GoPro. "We envision that a key component of our strategy will be to share revenue with our user." GoPro Awards will encourage participants to submit material from a variety of content categories like music, adventure, family or science, for instance. The San Mateo, Calif., company contends the program could become a way for talented GoPro users to earn considerable extra income. "This has been a concept that our CEO [Nick Woodman] and the whole team has wanted to do for a long time," Lurie said. "It really [underscores] how valuable the GoPro community has been to our success." Indeed, there are more than 15 million owners of GoPro's high-tech camcorders who share a huge amount of content every day on social-media channels—chiefly YouTube. As GoPro Awards participants put together submissions, they will likely share their work on social sites even more than usual, generating more buzz for the brand, as well as its popular Hero3 camera.